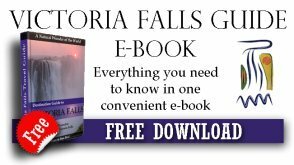 As we passed through the entrance to the Victoria Falls, it was there to greet us again: the ubiquitous, mysterious bird that appears on Zimbabwe’s national flag and coat of arms, as well as in countless sculptures and statuettes across the country. There was some disagreement among our group as to the bird’s provenance. Two Zimbabweans were at loggerheads. One insisted that it was a purely mythical creature, based on soapstone renderings found at the ruins of the Dzimba dza mabwe, or Great Zimbabwe. The other felt that it depicted a real bird species – but couldn’t remember which one. So the South Africans offered some (admittedly unhelpful) suggestions: a fisheagle? A francolin? A griffin-like composite of different species? Conversation was abruptly ended by our first, breathtaking view of the falls. It was towards the end of a rainy summer, with the mighty Zambezi River at its fullest and most powerful and the sheer volume of water producing the famous “smoke that thunders”, such a thick mist that the lower half of the dizzying 100-metre drop was obscured. Purists prefer the dry winter months, when the sense of vertigo is greater, but during a summer visit you not only see and hear the falls, you feel them too. It’s a curious but invigorating sensation – standing in the rain under a clear blue sky. And the rainbows are spectacular. We forgot all about the puzzle of Zimbabwe’s avian emblem as we admired the vistas across the world’s biggest waterfall. In the days that followed, our minds were occupied by other concerns. A three-iron or a driver off the first tee at the Elephant Hills golf course? A vertical bungee jump off the bridge that connects Zimbabwe and Zambia, or an equally terrifying gorge-swing? A helicopter flip or a walk with lions? And, the most difficult decision of all, which is the superior local beer – Zambezi or Bohlingers? But let's not be too trivial: there are serious questions to address when it comes to travelling in Zimbabwe. The ethics of tourism in a country with such profound social, political and economic problems have been a worry to potential visitors. Is it right to stay in luxury accommodation and enjoy the delights on offer at Vic Falls when millions of Zimbabweans are starving and oppressed? Even before the 2009 formation of the unity government, however, locals gave an unequivocal response: yes. Tourist revenue, limited though it was – especially as more and more travellers preferred to see the Falls from the Zambian side – provided a lifeline for many Zimbabweans during the worst years. Thousands are employed in the service industry at Vic Falls, with families in Harare, Bulawayo and elsewhere dependent on their income. And despite government tariffs and “unofficial” charges, the portion of each tourist dollar that went to President Robert Mugabe’s coffers was comparatively small. A measure of stability has been achieved since "unity", although petty rivalries and megalomaniacal egos continue to obfuscate rather than facilitate the rebuilding of the country. 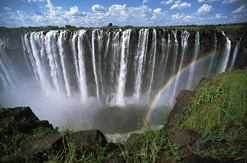 At least new appointees from both the Zanu-PF and Movement for Democratic Change political parties seem more sympathetic to the difficulties faced by businesspeople at Vic Falls – partly because, in a dollarised economy, the foreign currency generated by tourism is vital. 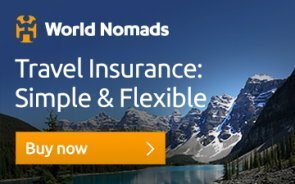 But at the same time, a new problem has arisen: the global recession, and with it a slump in the number of people in the US, Europe and Asia who can afford to travel. Still, they’re a resolute bunch at Vic Falls. They managed to find fuel and food, mostly from frequent trips to neighbouring Zambia and Botswana, when the Zimbabwe crisis was at its worst. In the 2008 and 2009 cholera outbreak they managed to keep the disease at bay. And now they’re looking to make the Victoria Falls a regional hub for both southern African and international travellers. The map doesn’t lie: the national parks of Chobe (Botswana) and Hwange (Zimbabwe) are within a two-hour drive from the falls. It’s quicker to fly from Johannesburg to Victoria Falls than it is to Cape Town. 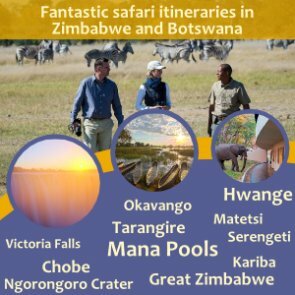 And, with airport upgrades in the offing and the possibility of airlines like Qatar and Emirates – and perhaps even some of the cheaper South African carriers – establishing routes to Vic Falls, the prospects are good. The ambitious Santonga Bio-Park project, a combination of wildlife and educational theme park, is due to open in 2010. The popular Victoria Falls Marathon and the Zambezi Rafting Challenge returned in August 2009. If this all sounds a little exhausting, fear not; Vic Falls remains a decidedly laid-back corner of the world. There’s plenty to keep adrenalin junkies busy, but equally popular activities are sundowners on the patio of the venerable Victoria Falls Hotel or lazy sunset river cruises. Indeed, it was while drifting on the Zambezi on the final evening of our visit that we solved the mystery of Zimbabwe’s emblem. The bird is, someone suggested – and despite the ongoing social, political and economic problems by which the country is beset, at that moment it was hard to disagree – a phoenix rising from the ashes.